Fort Edward and Hudson Falls, located close to Glens Falls and Queensbury, are charming communities rife with thriving businesses and attractions locals might not even know about. Each comprises a flourishing food and farm scene along with exclusive recreational and sporting opportunities, including a go-kart race track. See	why	you'll want to go beyond the Glens Falls city lines to explore what's right next door. When it comes to food, Fort Edward is perhaps best known for the Anvil Inn Restaurant. This quaint eatery is situated in a historic building that once housed a blacksmith shop in the 1840s. They offer hearty entrees like a sirolin steak sandwich, but did you know there's another place right in Fort Edward where you can find succulent steaks? And get them delivered straight to your door? 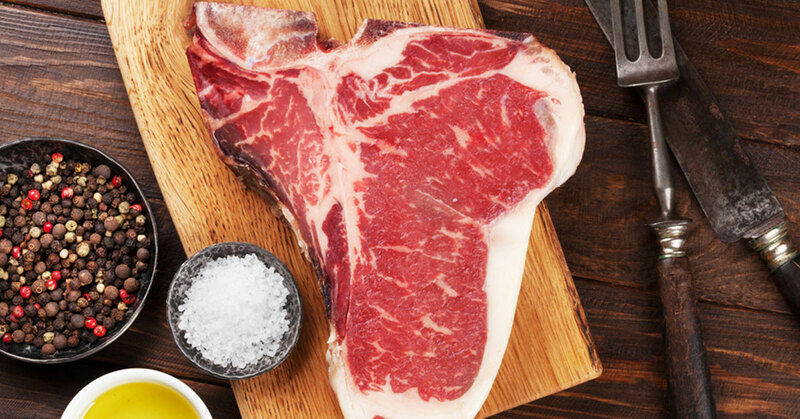 Blackhouse Angus & Hereford, based in Fort Edward, offers grass-fed beef and free-range pork brought right to your home. This family business is situated on 86 acres of farmland and comprises over 50 cows that roam the spacious fields. They're committed to chemical-free, sustainable farming practices, so that means they avoid using fertilizers, herbicides, or any other chemical. This results in lean, flavorful meat. Orders ship packed in ice directly to your home within seven days of your order. They can customize a package for you, or will otherwise work with you to get you what you need. You can also sign up for monthly deliveries. Another Fort Edward hotspot is undoubtedly Rogers Island, which houses the Rogers Island Visitors Center, open May through October. The island is named for Major Robert Rogers, a colonial frontiersman recognized as the forefather of the Army Rangers who wrote the famous Rules of Ranging. The next time you're heading to Rogers Island, consider timing your visit with a stop at the Canal Street Marketplace. This is the Fort Edward farmers market located at 63 Canal Street, within walking distance of the island. 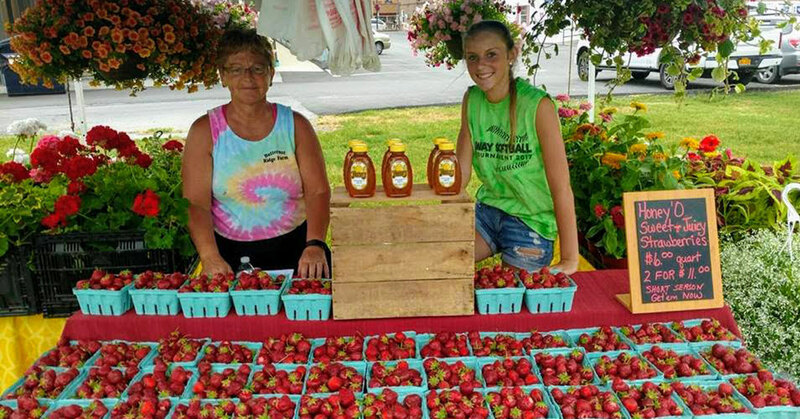 The market features top notch agricultural products from the area. Their 2019 season runs on Thursdays from 4pm to 7pm, from June 6th to September 26th. The farmers market operates in front of a renovated 18th century barn that once served as a repair location along the original Champlain Canal that wound through the village, now known as Canal Street. You can expect to find fruits, vegetables, meats, dairy, maple syrup, and more at the market from the Upper Hudson Valley. Fort Edward is more than just food and farms! 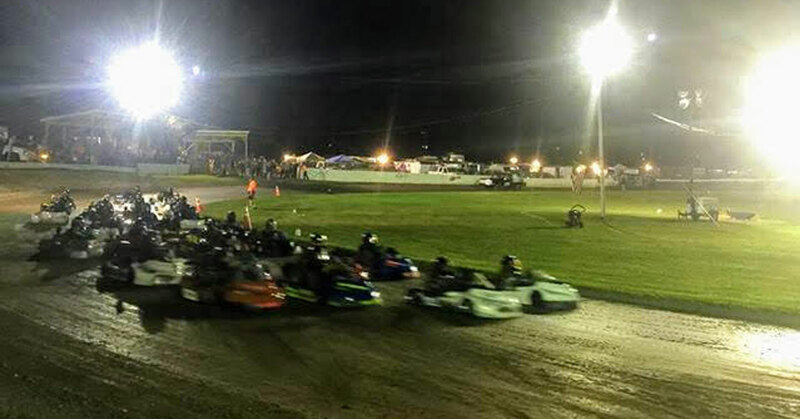 Did you know there is an authentic go-kart race track off of Mahaffty Road, heading towards Argyle? Owners Joe and Kate Maille started the Turkey Trot Raceway in 1992 as a practice track and the track got bigger and bigger every year, eventually becoming the raceway it is today. The Turkey Trot Raceway offers a variety of races for different age groups that take place on a seasonal basis, and they're hosting the Northeast Adirondack Nationals in August of 2019. Go-karters get to race for some serious cash! Here's another unique business you might not know about: R&M Sporthorses in Fort Edward provides the region with top notch horse riding coaching, training, boarding, and more with a goal of producing successful thoroughbred racehorses. Owner John Reid has been in the equine business for over 20 years and has worked at some of the top racing operations on the planet. 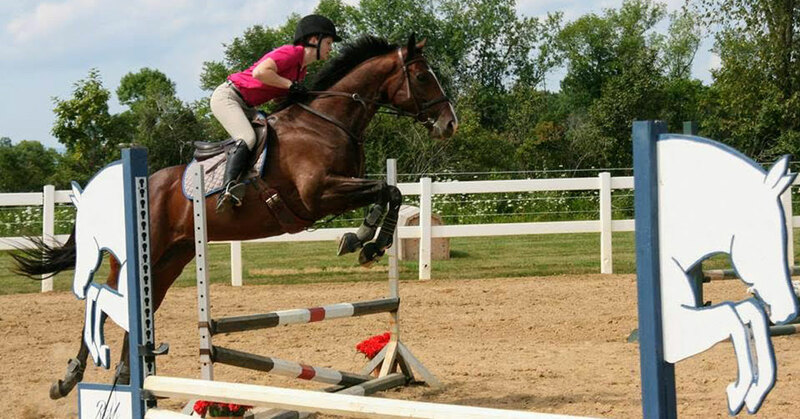 He offers an effective training program for riders and horses to reach their goals under his guidance and care; he's been especially successful in the hunter/jumper field. Riders who work with Reid attend shows throughout the Northeast, including the Saratoga Classic Horse Show, the Vermont Summer Festival, and others. R&M Sporthorses is in an ideal location that is not far from where many of these shows take place, and many show barns do not have this same convenience. Hudson Falls has experienced a serious resurgence in recent years, with many new businesses choosing to open their doors in the village. The most notable is perhaps Forged, an innovative restaurant focused on farm fresh cuisine, which opened its doors in 2017; there is also the Hudson River Brewhouse, which opened in 2019 in a building that first served as the Sandy Hill National Bank from 1906 to 1932. However, there is another impressive dining establishment that has been around for much longer - the Adirondack Seafood Company, which got its start in 1989. This is a restaurant and fish market, so you can enjoy a delicious seafood dinner in their cozy dining area, or pick up fish to go. The seafood comes from the New England Coast and Georges Bank, which is an area that separates the Gulf of Maine from the Atlantic Ocean. The owners buy high quality fish that are caught from small boats. 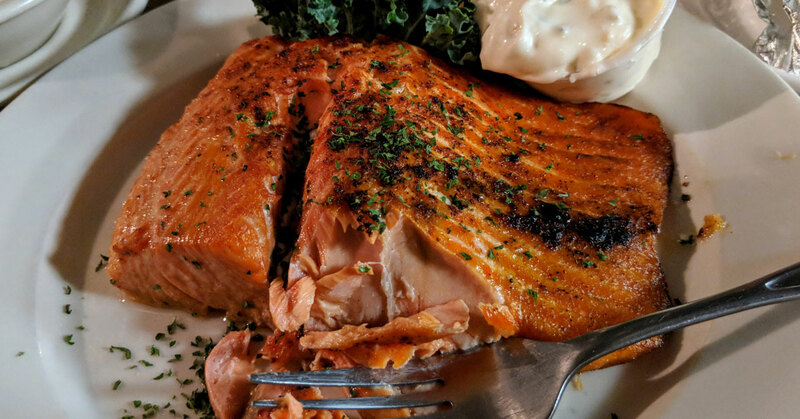 The menu includes all the staples you'd imagine: salmon, haddock, scallops, a seafood platter, fried clams, New England or Manhattan clam chowder, and more. Seafood sold in the market side of the business arrives fresh every day and includes options from New England, Alaska, and other areas. Incredible seafood, fine dining, and craft beer options are all great. But sometimes you're just in the mood for a comforting slice of pizza or a delicious sub packed with quality meat, cheese, and veggies. 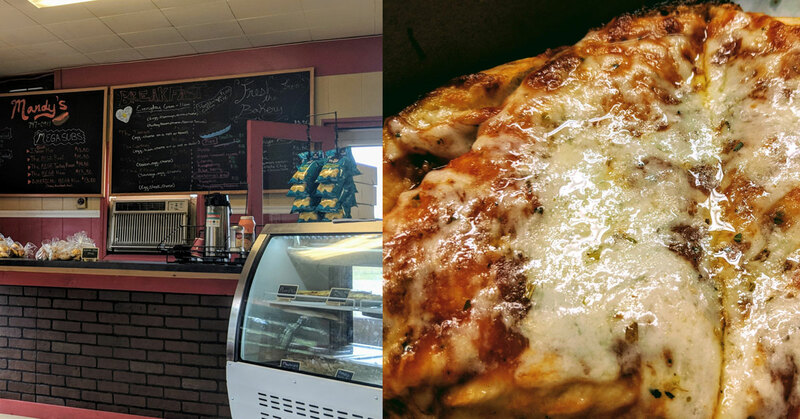 Mandy's Pizza and Sub Shop in Hudson Falls is the perfect place to stop for lunch when you're craving something quick but don't want to opt for a fast food joint. Pizza comes available in 10-inch, 12-inch, or 16-inch options, and you have the choice to add pepperoni, sausage, ham, peppers, bacon, or other toppings. They make their own rolls for the subs, which come in 6-inch or 12-inch varieties with all your traditional favorites: ham, salami, tuna, turkey, turkey and bacon, and there are hot options as well like meatball, sausage, or chicken parm. The other item you'll want to make sure to pick up while you're here is the to-die-for finger rolls. Many patrons stop by just for this delectable treat, and out-of-towners always make a point to come here to pick some up before heading home. Not without its own distinctive recreational opportunities, particularly in the theater and arts field, Hudson Falls is home to the Hudson River Music Hall, The Strand Theater, and the Hudson River Shakespeare Company. The Hudson River Music Hall opened its doors in 2010, and was later able to purchase the former Bell Telephone Company building, built in 1881, which became the Strand Theater. This historic theater provides quality concerts, dance performances, and other productions and is part of an ongoing revitalization effort in the village. There's another exclusive theater in Hudson Falls, though, and that's Broadway Upstate. 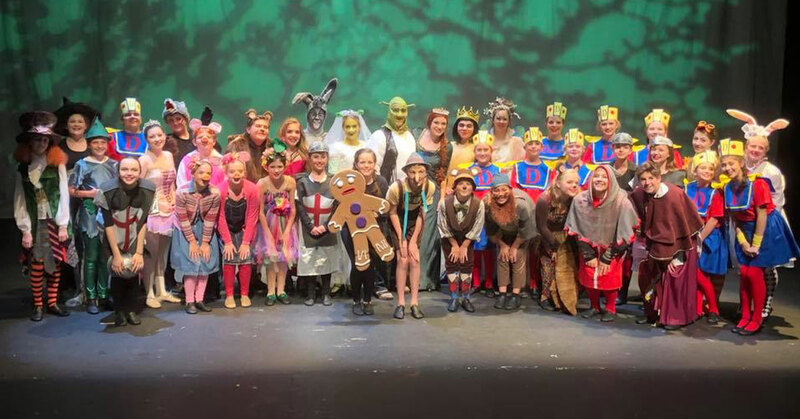 This is a community theater group that was formed in 2012 with the intention to produce high level musical theater productions for the Adirondack community; they're especially focused on getting young people into musical theater and offering family-friendly productions. They offer shows, classes, programs, and a summer musical theater camp for kids. Their first production was Rent, and their first youth performance was Charlotte's Web. Since then they have put on productions of Shrek the Musical, Alice in Wonderland, The Addams Family, and many more. In April of 2019 they're hosting a production of Beauty and the Beast, Jr. at the Charles R. Wood Theater. Fort Edward, named for Edward Augustus, the younger brother of King George III, was known as the "great carrying place" due to its proximity to the Hudson River. In addition to Rogers Island, other community hotspots include the Old Fort House Museum, the Fort Edward Industrial Park, where you'll find a charming pond and a fitness trail, and Mullen Park, which underwent renovations in 2013 and now includes a playground and a softball field. 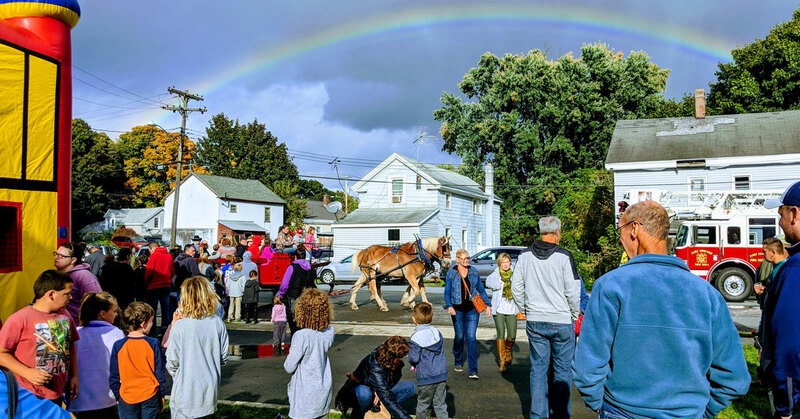 Today Fort Edward hosts fun community events like Locktoberfest, pictured above, which is a family-friendly together with horse-drawn carriage rides, food vendors, live music, and more. But the event is really a nod to the historic Champlain Canal. As mentioned in the Canal Street Marketplace section, Canal Street used to be an actual canal, which served as a major asset to the community. Like Hudson Falls, you can also find a variety of theater and musical entertainment in Fort Edward, namely at the Little Theater on the Farm. Hudson Falls, situated in the town of Kingsbury, used to be called Sandy Hill. Like Fort Edward, Sandy Hill benefited from being close to the Hudson River, and the Glens Falls Feeder Canal as well. The name of the village was changed to Hudson Falls in 1910, which was named in hopes of drawing tourists to Baker's Falls on the Hudson River; Baker's Falls is named for Albert Baker, the first settler of Sandy Hill. At the center of the village is J. Walter Juckett Memorial Park (Juckett Park for short), named for an industrialist. This park is often the location of community events like Sandy Hill Days in the summer, pictured above, and Hometown Holidays in the winter. 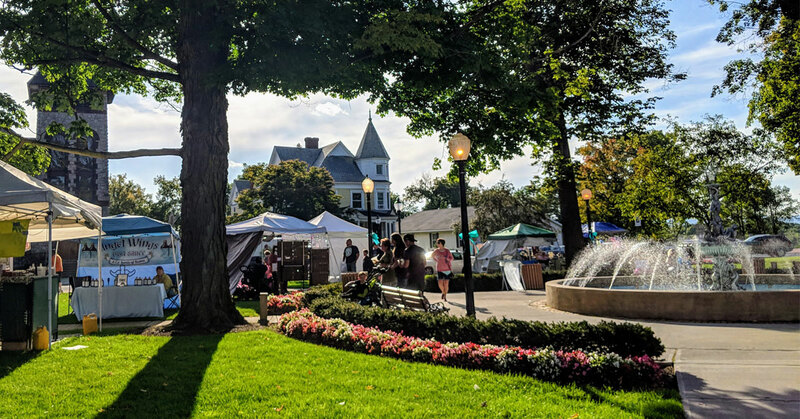 Although the buildings on the east side of the park burned down in the 1870s they were rebuilt to incorporate the same Victorian ambiance as before, and are considered the gem of the Hudson Falls historic district. The next time you're looking to get out of Glens Falls consider heading to neighboring Washington County to experience some of these area businesses and recreational spots for yourself. Grab a delicious meal, pick up farm fresh products, see a show, or even try your hand at go-kart racing.